The Passive House principles of energy efficient, healthy, sustainable and comfortable living are aligned to those of pro clima which specialises in the design and manufacture of sophisticated materials used to build airtight and weathertight homes. The Passive House movement and its dedicated traders, designers and consultants worldwide have had the support from pro clima since the beginning in Germany. Now, in support of the courses in New Zealand, and to recognise your efforts to date in passing the prerequisite courses with the passion and determination needed to succeed, pro clima invites you to apply for one of the three scholarships on offer. We warmly invite all people focused on furthering their education and expertise to submit their application. Applications are to be submitted here online. Below you will find questions and forms which must be completed. Please only apply for one scholarship. The successful applicants will be notified by email. The successful applicant will receive full subsidy for the Passive House Academy New Zealand Certified Passive House Designer & Consultant Introduction course, CEPH1. You will receive a Certificate of Completion and an invitation to continue with your education. None. 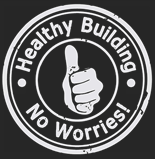 Experience in the building sector is however highly recommended for a successful course completion. 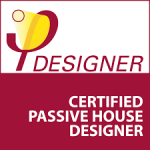 The systems approach to Passive House design includes 5 main principles. What are they? Please answer the question comprehensively and attach as a single file to the form below. This scholarship is now closed. Please come back in 2019. Stay informed by signing up to the pro clima Newsletter. The successful applicant will receive full subsidy for the Passive House Institute New Zealand Certified Passive House Designer/Consultant course, CEPH2, and the externally assessed exam, set by the Passivhaus Institut (Germany), leading to the internationally recognised qualification of Certified Passive House Designer or Consultant. ARCH 6623 or ARCH 8623 at Unitec. Alternatively, you need to be able to demonstrate that the skills gained from successfully completing these courses are mastered by passed the online test. To test your knowledge, please complete the online test. What are the differences between a static and a dynamic dew point calculation? What tools or programmes are you aware of that can assist with calculation of heat and moisture transport in multi-layer building components? Please answer both questions comprehensively and attach as a single file to the form below. 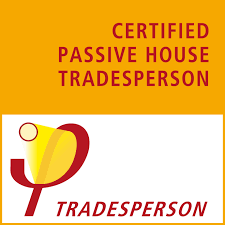 The successful applicant will receive full subsidy for the Passive House Institute New Zealand Certified Passive House Tradesperson course, CET, and the externally assessed exam, set by the Passivhaus Institut (Germany), leading to the internationally recognised qualification of Certified Passive Tradesperson. What Blower Door method applies for a Passive House certification and what might or might not be blocked off for this test? Thank you to everyone who submitted their application!